Desygner lets you unleash your inner graphic designer on your phone or tablet, but with an intuitive interface and thousands of templates it’s simple enough for beginners to use. You can combine text, shapes, images, stickers, backgrounds and more to create logos, posters, adverts, PowerPoint-like presentations, postcards or any number of other things where images and typography are important. Each component of your design can be moved, resized, rotated, flipped, duplicated or have its color changed, and you can work with multiple layers. Results can then be saved to your device to be used wherever you want. We suspect it might be a bit limited for professional graphic designers, who may want more freedom to completely create designs from scratch, but for everyone else Desygner is a great way to make something that looks professional. 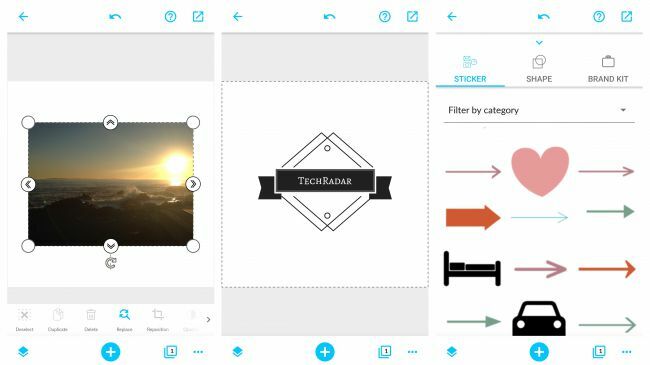 The basic app is free but certain features, as well as the majority of the templates, require a monthly subscription which costs $7.49/£5.99. That’s probably worth it if you’re going to use the app semi-regularly, but if you just want to design something as a one-off you might find the free version good enough.